Most artists attack their social media the same way: get on Facebook, start a Twitter feed, open a YouTube channel, etc. Unfortunately, many of these artists stop there. Creating these pages is only the beginning. A Facebook profile (or, preferably, a Fan Page) or a Twitter account is not going to magically bring people out to your shows or to your website to purchase music. If a page isn’t updated regularly with interesting content, fans will lose interest; with access to an unprecedented amount of music, fans have the luxury of being fickle with whom they support. Every artist should aim to put out at least 1 music video per album, preferably of the lead single (or most catchy single). No one says it has to cost millions, or even thousands. Think outside the box and plan it out. The most popular videos on YouTube aren’t always of the highest film quality, but of the highest creativity. You can find tips for planning out a great video on a budget here. It’s not always about the music. Many fans support an artist because they relate to them on a deeper level. Allowing fans to get to know you outside of your music is a great way to connect with them beyond the stage. If you are not comfortable opening up on camera, try staying behind the camera and narrate something interesting you come across during your day, or interview other people you think your fans might enjoy checking out. With so much reality TV out there, fans expect a certain level of transparency with their entertainment. Speaking of transparency, an easy way to connect with fans is to take them on your journey with you. Everyone has at one time or another secretly wished he/she could be a rock star. Show your fans what’s involved in your day-to-day process by filming pieces from the recording studio, sound check, or on set of your music video or photo shoot. What may seem mundane to you will seem like a nice escape from another’s reality. Haven’t gotten that call from Rolling Stone yet? Who cares! Your YouTube, your rules. Make your own press. If magazines and blogs haven’t knocked down your door to review your work, have a friend interview you and post it on your channel. Come up with a few key questions (How did you get started? What is the meaning behind your album title? What’s your favorite song to perform live?) and practice giving succinct, interesting answers. When you’ve nailed down what you liked, post it up! You may even want to break up the interview into sections (1-2 questions per clip). Play around with these different types of footage to get yourself started. Make sure your channel has all the proper information in the profile section, and all other social media sites are listed for easy access. You also want to label and caption each video for fans to identify and share. Happy filming! 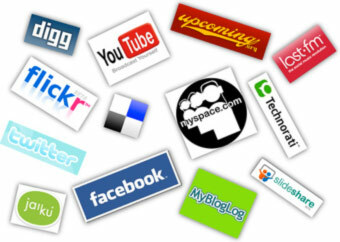 No one artist is guaranteed to be successful promoting his or her music through social networking sites. While there are methods and tricks of the trade to help increase your visibility and impact online, a site or app can’t do its magic if the person using it fails to do his or her part. Below are 5 basic traits that every artist needs to possess and work at maintaining in order use social networking as an effective way to promote upcoming shows and new music. As we’ve already discussed, with all of the resources available to help promote your music online, the worst thing you can do is sign up for all of these sites and fail to maintain them with updated, relevant information. It’s better to have a presence on 2 or 3 sites that you will regularly maintain than 12 sites that are outdated. An easy way to turn off fans is by making them play a guessing game as to which of your profiles is more reliable. No one said social networking is easy. However, with 800+ million people logged into one social media site or another almost daily, many assume promoting online is a no brainer. The Top 6 most followed people on Twitter are musicians. However, unless you’re mother monster, a teen heartthrob, or pop princess, garnering a solid following takes effort. If fans post to your Facebook wall or send you a message on Twitter, and you are not there to answer them in a timely fashion, they will lose interest. Social is the key word in social networking, so it’s safe to say it is one of the key traits one must have to be successful at it. Scheduling tweets and posts is useful, but you cannot simply talk AT your fans, you must talk WITH them. Social networking is a TWO-WAY street. You can’t expect to become a topic of people’s conversations without first getting involved in a few conversations of your own. As an artist you most likely already possess an abundance of creativity. Turn your talents towards social media when finding ways to engage with fans. Maybe it’s through video blogging, behind the scenes photo shoots, contests, fan input, free giveaways, etc. Maybe it’s something like this. The most important thing is to know your audience, give them what they want, and find ways to keep them coming back for more. You can’t be successful at promoting yourself online if you’re not busy creating things to promote! It’s a hard line to straddle, but you do need find a balance between spending time online and spending time doing things to then post about online. The best way to keep fans engaged is by giving them something different to come back to each time they visit your pages. Connecting your social media sites to your mobile phone is a great way to stay connected without staying glued to your computer 24/7. Remember, even the overnight success stories don’t exactly happen overnight. Anything worth having takes time and commitment. If you possess these traits you’ve already won over half the battle. Have you come across any other great tips for using social media to promote your music? Share them with us below! Branding is one of the most important things an independent artist can do to stand apart from the competition. Since the digital takeover, artists have more resources and tools at their disposal than ever before to build their own brands. While social media sites like Facebook and Twitter are essential to growing your online presence, you should not rely on them as the only components of your online branding strategy. Give your brand the solid foundation it needs with your own domain. 1. It makes you look professional and serious about your career. 2. 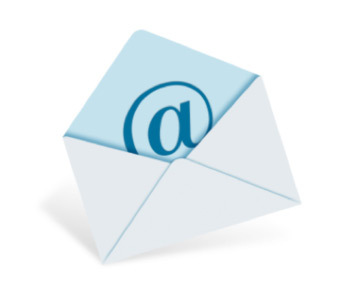 You can setup business email addresses ending in your domain name. 3. You are in control of everything from content to advertising to the user experience. 4. You can make more money by creating your own e-store to sell your music and merchandise. 5. You can completely customize the design to fit your brand image. 6. Having your own domain gives your brand a stable home base, so you don’t have to rely on the existence of third-party websites. 7. 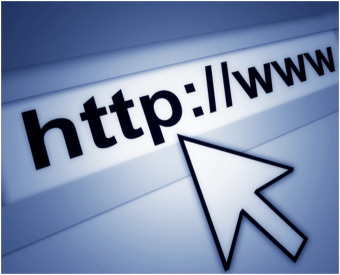 Registering your domain name prevents others from claiming it. 8. 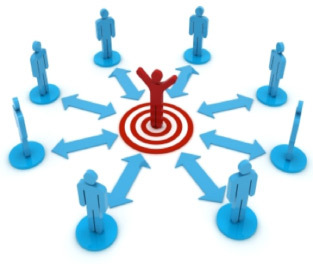 You can increase your online following by promoting and driving traffic to your social media profiles and pages. 9. Hosting only costs $5-$10 a month and there are many inexpensive (and even free) options for designing your own site if you cannot afford to hire a professional. 10. You can strengthen your fan base by creating your own online community where you can interact with fans through message boards and offer them exclusive content. If you have more reasons you’d like to share, please let us know in the comments section below! One of the most common problems Vicki and I see artists having when trying to promote their projects online is keeping track of so many profiles! In today’s world of online social media, it is difficult not to have a Twitter account, a Facebook account, a LinkedIn page, etc. For an artist, add to that list a ReverbNation account, a Bandcamp page, a YouTube channel, and (possibly still) a Myspace page. Below are some tips to keep in mind to help artists like you stay on top of all the social media messiness that comes with promoting an album or show. As an artist there are many “staple” sites in which it is crucial to maintain a presence, such as ReverbNation, PollStar, Bandcamp, and of course, Facebook. There are even sites that you may have had to create a profile for simply to access other people’s music, making it easy to forget every site. Do a Google search of yourself to see what comes up and make a full and complete list. As many of these sites use emails as usernames, it is best to link as many sites as possible to one email address in order to keep track of email updates and notifications. While you may want different passwords, keeping them all related to one another for easy recall is also helpful. While many profiles may feel as though they repeat the same information, it’s important to know why you are on a certain site. If you can’t think of why a site is beneficial to the promotion of your music, is the profile worth maintaining? Be realistic of what you can handle, especially if you are a D-I-Y artist. If some profiles overlap in purpose and benefits and you’re likely to not spend time online updating these sites, narrow down your list. Figure out what works for you. Whether it’s a spreadsheet, post-it notes, or an app like Hootsuite, find a way to stay organized and up to date with your online promotions. An editorial calendar is also a great way to plan out your Facebook posts and tweets for the upcoming days or even weeks. 1. This Is Not A One Man Show: As they say, it takes a village. Unless you are truly a one-man show, you most likely will have to coordinate with graphic designers, printers, and studio engineers, just to name a few, in order to complete your latest project. Each business or person has a set of deadlines and responsibilities for which they are accountable. While you may imagine your album being done in two weeks because that is the only project on your plate, the others may see it being done in two months as they may have other projects in their queue to complete first. 2. Confirmation Date + 7: Each of your vendors may have their own set of obstacles that threaten their deadlines. Your printer’s equipment may overload and need to be replaced; the engineer’s software may get a virus and need to be rebooted; your video editor may come down with the flu. Not only do you have to give yourself a buffer to complete your part, but you have to add in buffers for their parts as well. Make sure to get a confirmed delivery date in writing from each vendor, and then add a week to each confirmed date in your timeline to be safe. 3. Plan of Attack: Once everything is done and delivered to you, what will you do with it all? What is your overall goal? How many albums do you hope to sell (or need to sell to break even)? Consider the purpose of each social media site you are active on (Facebook, Twitter, Pollstar, Bandcamp, etc.) and determine what you will do on each to get the maximum benefit out of each site. Which sites will have videos? How often will you post the link to your music? 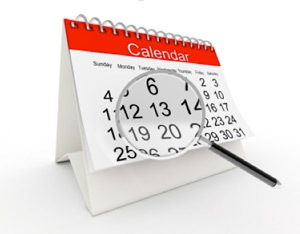 An editorial calendar is an important tool for mapping out posts and promotional campaigns beforehand. 4. Unfinished Business: Nothing is worse than sending someone to a site that is incomplete. Make sure ALL social media profiles are complete. This includes an avatar, a link to your music, and a short bio, at the very least. And PLEASE, remember to spell check! 5. Call in the Troops: Do not expect that just because someone did the graphic art for your album cover that they are going to help you promote this project all the way through. Unless already a close friend, most vendors stop working on a project once they have completed what they have been paid to do. When you are ready to roll out your new campaign, make sure you have a group of supporters ready to retweet, share, and forward your hard work to their contacts and followers. Keeping these tips in mind will help you set realistic release dates for your music, staying credible and reliable to your friends, family, and fans. This guest post comes from Bobby Owsinski, producer, author and social media advisor who blogs at Music 3.0. Whenever someone mentions the phrase “the music industry” we immediately think of record labels and music sales, be they via a digital file, CD, vinyl record, cassette or some other method where we listen to songs. The business is a lot bigger than that, especially if we look at all the different categories. As you can see, it’s a huge industry worth $168 billion. Sure, there are a lot of facets to it, but it just goes to show that there are also a lot of consumers out there who are still willing to part with their cash in exchange for something to listen to, play or enjoy music with. 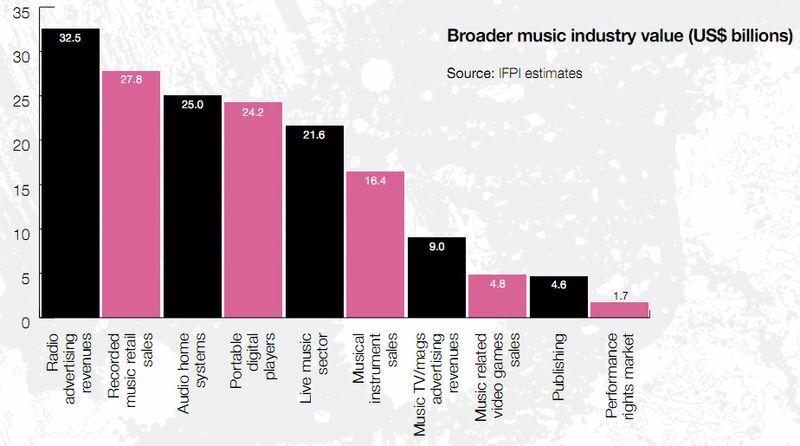 Don’t believe what you read about the music business dying. The numbers don’t lie. I have taken some time to re-familiarize myself with today’s music practices. Although I have extensive knowledge and contacts within the industry, today is a different day and age. As many of you have experienced, gone are the days where you submit your demo via snail mail to an A&R rep at a major label. Now, all you need to do is take your webcam into the bathroom, record yourself, post it on YouTube and pray it catches on to a few hundred thousand (thanks to the help of some tweets to a few thousand believers) and wait for the label to contact you. Although I have been easily able to adapt to new practices, sometimes you have to teach an old dog some new tricks. With music apps being launched at an unimaginable rate and the rebirth of Indie labels, there was some re-educating to do. To be able to provide you with the most up-to-date information and lead you to the virtual pot at the end of the Photoshopped rainbow, I have been meeting with many colleagues as well as making new connections to establish a strong foundation for information. 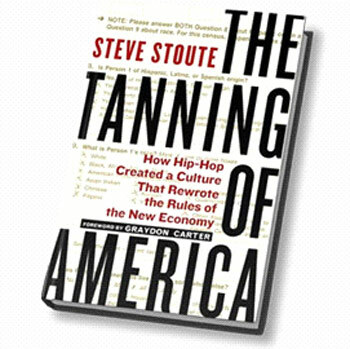 I will leave you with this, pick up Steve Stoute’s “The Tanning of America” How Hip Hop Created a Culture That Rewrote the Rules of the New Economy. Take a look at the blog site TanningOfAmerica.com. I’m just about wrapping up the book, but it’s an informative read on how historic minority pioneers in the industry revolutionized music and how Steve was able to harness and bridge the marketing gap from artist to consumer. Leading the way forward on the competitive brand-building battlefield. A music producer or the producer’s “loan-out” corporation may sing a deal with artist, a production company, or a record company. The producer’s job is to help create and deliver quality master sound recordings. A music producer’s agreement may be for a single song (master), or may cover an entire album. (1) Responsibilities: In your music producer’s agreement, make sure to clarify what is meant by “production.” For example, does it include selecting the songs, selecting the instruments and vocals, and help in writing or arranging songs, etc. (2) “All-in” Deal: An “all-in” record company agreement is in which the artists is responsible for hiring the producer. In this case, the producer will want the artist to be responsible for any “overages” in the recording budget. Try to limit your liability for overages to only those caused by you (the artists), and not caused by or within the control of the producer, engineer, or recording studio. (4) Record One Royalties: Unlike artists, producers are customarily paid on all records sold, without recoupment of recording costs. These are called “record one” royalties because they are paid from the first record that is sold. Try to strike this language, if you can. If you are unable able to avoid a “record one” clause, you may be able to negotiate a better deal in terms of when those record one royalties will be paid. (6) Producer Advances: Like artists, producers also get “advances.” The amount of the advances varies (like the points), depending on the stature of the producer. New (unestablished) producers can get anywhere from free, to $2,000 – $3,500 per master (song). A mid-level producer can charge anywhere from $3,500 – $7,500 per master. And superstar producers can get up to $10,000 – $15,000 per master, and sometimes even higher. (7) Masters: Take time to commit in writing what each others’ rights are vis-a-vis the finished product, i.e., the masters and CD’s. Obviously, ownership of the masters should be in the artist. (8) First Right of Refusal: Sometimes a producer will want to do the first re-mix and/or recording of the masters that he/she helped to create. If you want total creative control over your masters, avoid this. knowledge I offer you, not a literal 48 numbered checklist. would sell out their grandmothers for a spot on the American Idol stage. So what do the rest of you do? You call me. seriously, why would you need help if you knew what to do. So let me.